The Manitoba Basketball Hall of Fame is pleased to announce its Class of 2019. 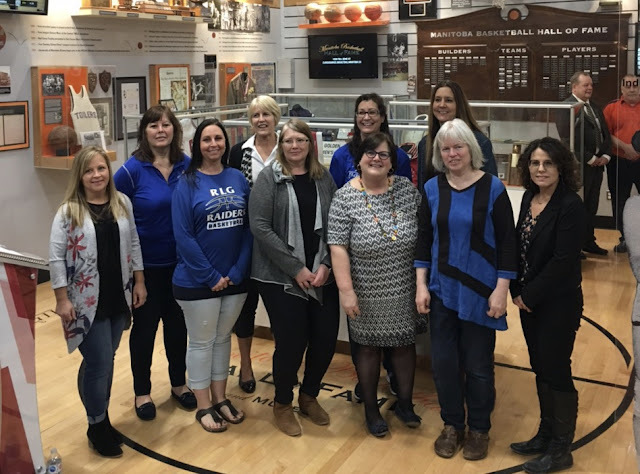 The official induction will take place on Saturday, September 28, 2019 at the Victoria Inn in Winnipeg. Belaineh DeGuefe – graduate of Kelvin High School; University of Winnipeg Wesmen, 1978-82; Great Plains Athletic Conference (GPAC) all-star all four years; GPAC Player-of-the-Year and CIAU/CIS All-Canadian in 1981; Wesmen Athlete-of-the-Year in 1981. 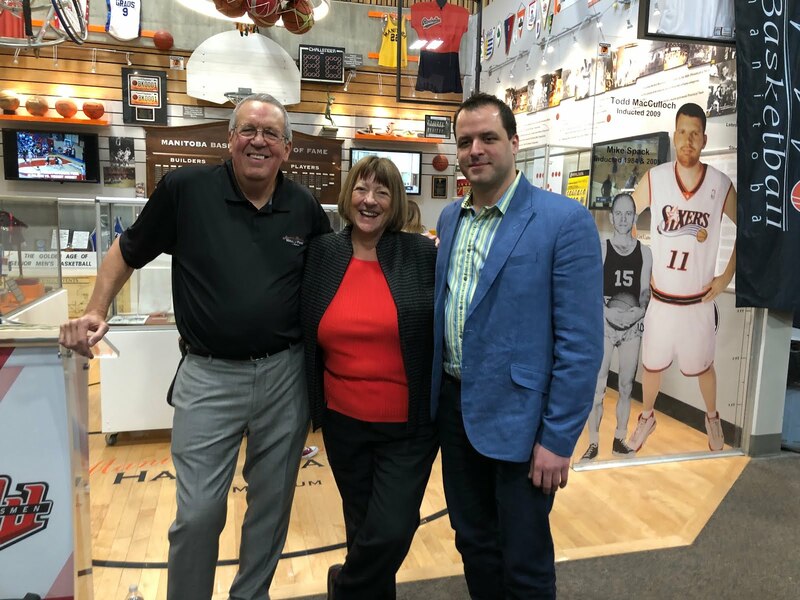 Margaret Mulder – native of Barrie, Ontario; University of Winnipeg Wesmen, 1986-89; two-time GPAC All-Star; twice named CIAU/CIS player-of-the-week; All-Canadian in 1988; Canadian National Team in 1988. Isabel (Duncan) Thomson – a true pioneer in women’s basketball for 25 years in the 1930s and 1940s; played 17 years of junior and senior basketball with the Altomahs and the Winnipeg Pegs; represented Manitoba 6 times in the Western Canadian championships; all-star numerous times; team captain; died in 2007. 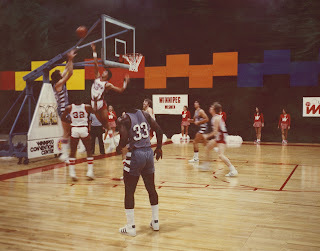 Mike Vaira – native of Oregon;Brandon Bobcats 1970-75; in 1973-74 led the nation in scoring with 26.5 pts. 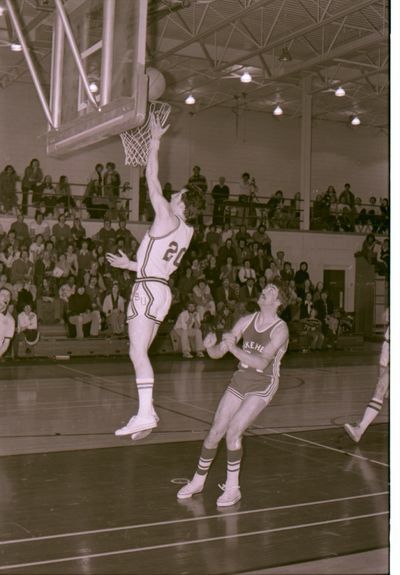 per game and became the first Bobcat to be All-Canadian; two-time GPAC All-Star; Brandon University Male Athlete-of-the-Year in 1974; died in 2018. 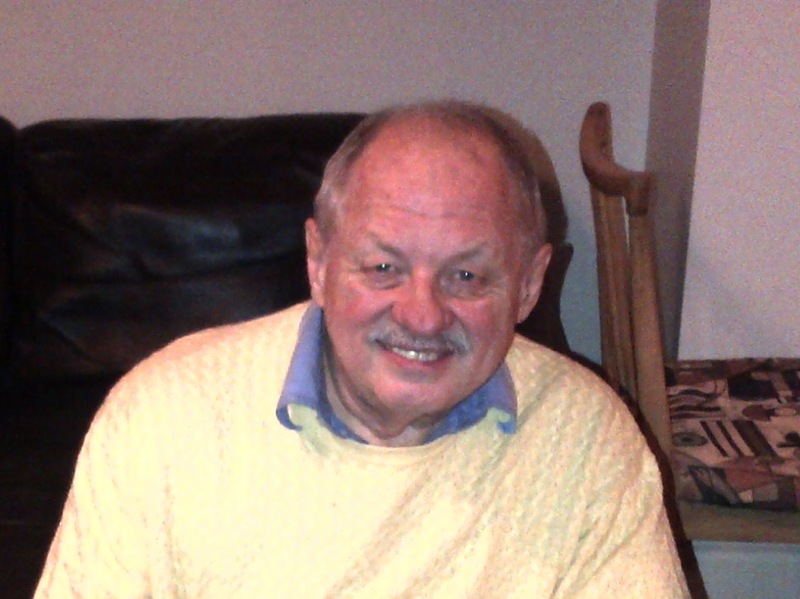 Irv Hanec – coached for 45 years at all levels - high school (Elmwood, Daniel McIntyre, St. John’s, Dakota and College Jean Sauve), senior men’s, national and international with St. Andrews Super Saints; Mike Spack Award winner in 1996; Basketball Manitoba Coach-of-the-Year in 2006 when he led CJS to the provincial ‘AAAA’ championship; also officiated for many years and Basketball Manitoba Exec. Dir. 2005-2006;died in 2017. 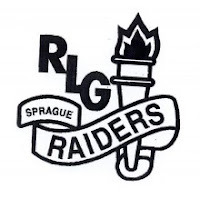 Larry McDougall – coached for 32 years at Dauphin Reg. Sec. School where he won three MHSAA ‘AAA’ Provincial Championships with the Varsity Boys, 1975, 76 & 80 and with the Varsity Girls in 1987; reputation for patience and for building relationships with his players set him aside from many of his peers; died in 2017. Isabel (Duncan) Thomson – President of the Greater Women’s Senior Women’s Basketball league for many years; Vice President of the Canadian Amateur Basketball Association (now Canada Basketball); died in 2007. 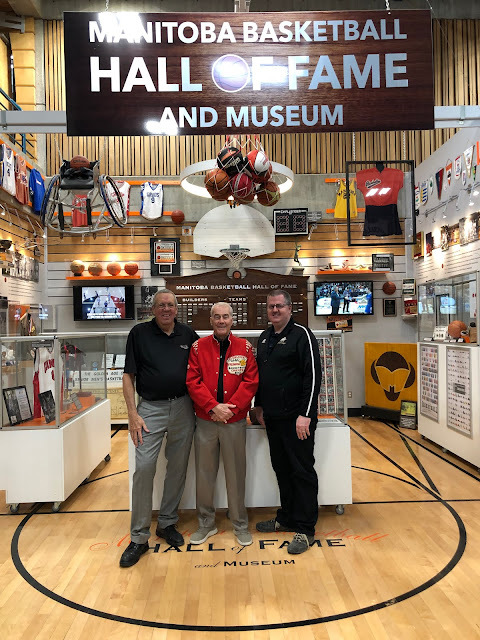 Dennis Wilson – longtime coach/administrator; coached Glenlawn High School Varsity Boys 1961-70; 1967 ‘AAAA’ provincial champions;first president of the Manitoba Basketball Coaches’ Assoc. ; as a school administrator supported and helped develop quality programs at many schools; coached in the WMBA, at the International Peace Gardens and in the inner city BeeBall program. More information is available from Ross Wedlake at (204) 668-9494 or rosswedlake@gmail.com. For more information on the Manitoba Basketball Hall of Fame and Museum, please go to http://www.mbhof.com.